At the Edge of the Yard: A dying mother tells her daughter, “The woods were calling you.” Between 2002 and 2011, Lou Gehrig’s disease (amyotrophic lateral sclerosis, or ALS) pulled Sally Manikian’s mother through a series of changes, each small, and together, fatal. During the same time span, Manikian was evolving into a backcountry caretaker and trail boss who knew how to use an ax and run a chainsaw. 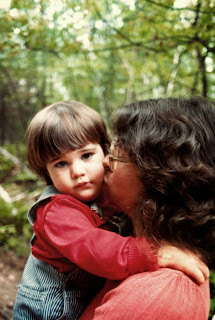 She would come out of the woods after a work trip, dig out her cell phone, and find a message from an aunt saying it was time to go to her mother’s bedside. For the Sake of the Sin: Norway’s fugitive mountain woman. In March 1733, Birte Olsdatter murdered her abusive husband and sank his body in a fjord. When his body washed up onshore two months later, she hid out in a mountain cave for three months. Authorities finally found and executed her for the crime. Blair Braverman tells the whole awful tragedy and also treks alone into those mountains, trying to relive Olsdatter’s ordeal and realizing how hard just one night out alone can be.